Above: Nea Smyrni, Athens. 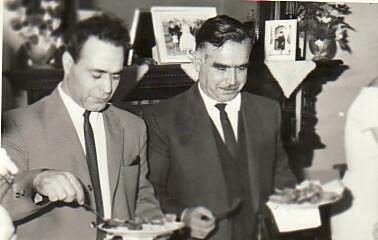 L-R: Fokion himself, Ioannis Kalantzis and unknown (2). 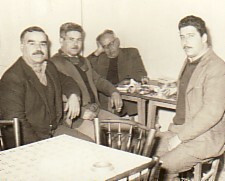 At the time (1961-65), Ioannis owned a kitchen. Above Right: Family. Standing are: his sons, Ioannis and Ignatios, his daughter-in-law, Konstantina, and his son, Mihail. 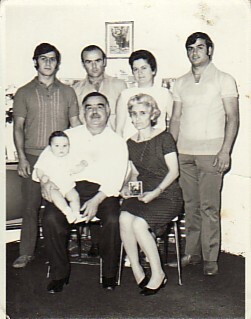 Seated are Fokion himself, who is holding his grandson, Fokion, and his wife, Ekaterina. 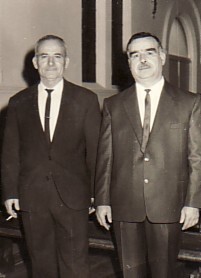 Above: With Ioannis Hatzivlastis (left). 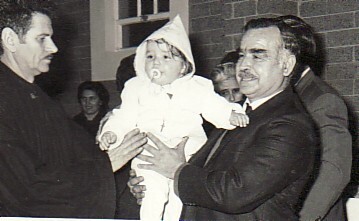 Above Right: With Panagiotis Kanmerokis (left). Above: At the baptism of his grandson, Fokion.